It seems like the REGI name should be changed to "Education R Us" these days. 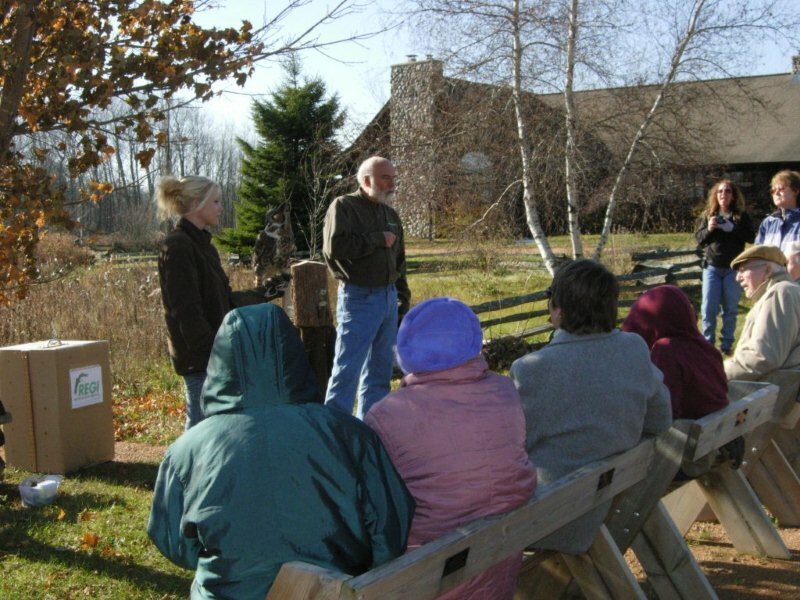 In "normal" years,we are unable to do programs on site in November due to the winter weather. Last year at this time we were looking at below zero F. temperatures. This year we had snow in October, but November has been downright balmy. ( We think anything above 32 degrees F. is balmy in Northern WI. ) 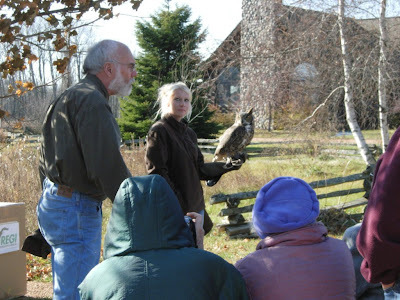 Recently we were able to do an on site program for a favorite group, the Chequamegon Bird Club. 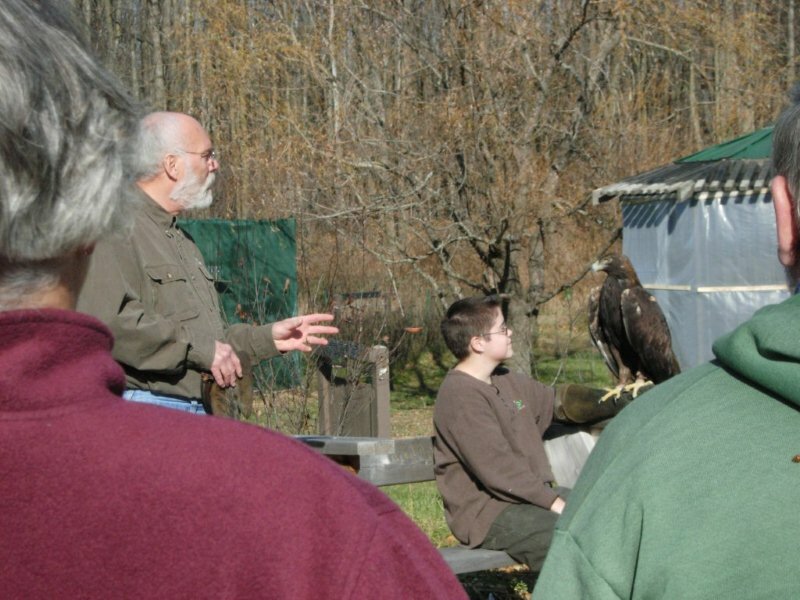 The bird club members made the long drive from Medford, WI to REGI see the program. 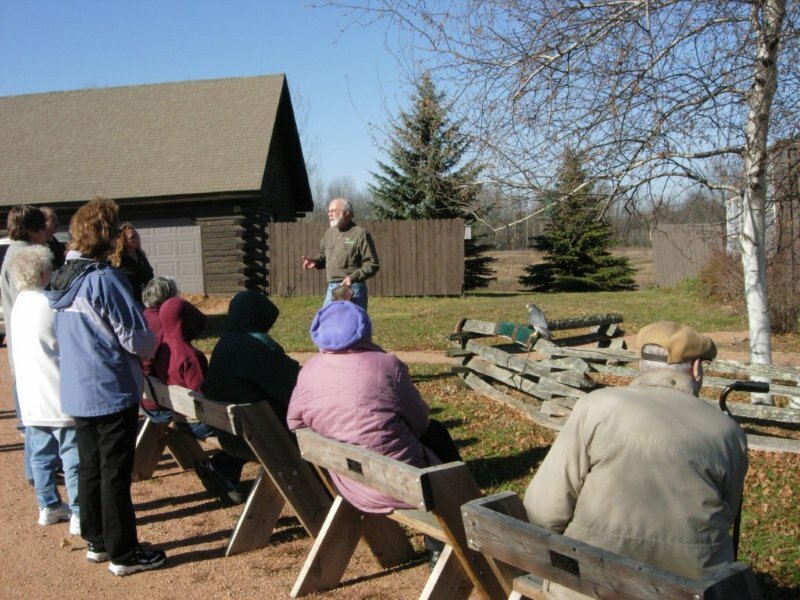 Afterwards, they continued on their way to the famous Leigh Yawkey Woodson Art Museum and the Birds In Art Show in Wausau. They also took time to do some birding on the way. It was an all bird kind of day for them. It is a bit like "preaching to the choir" when we do programs for bird clubs. There is nothing quite so bonding as a shared passion. The members get to see many species up close and personal that they sometimes only "hear", or catch as a fleeting glance in the wild. Below I will share some of the photos of the day with the Chequamegon Bird Club visit. 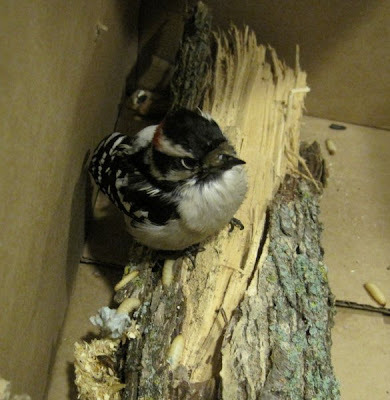 A beautiful Downy Woodpecker was admitted last night. He has a broken wing, but is otherwise in good body weight. He should do well in care. We hope for a full recovery. 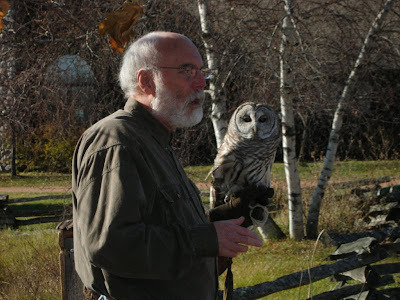 With a little luck, he will be released either this winter or in early spring. Many thanks to the Bennett family of Wausau not only for rescuing the little guy, but transporting him to REGI in the evening. The Downy Woodpecker is a tiny woodpecker, but has personality plus. Nothing much phases these little ones. This new patient was in care for all of two minutes when he ate a wax worm from my fingers. Many thanks to Jada Baits of Antigo for supplying us with a constant source of wax worms for our patients. Live worms are so expensive to buy. Jada Baits generosity has allowed us to continue our work with passerines and other insect eating birds. We wish safe travels to those that are on the road or traveling in some way on this day before Thanksgiving.